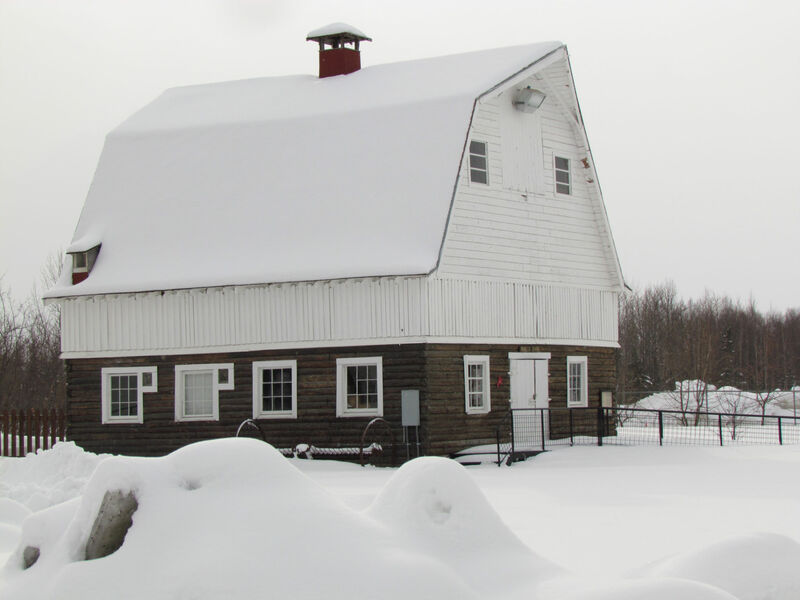 The Venne barn, one of three on Wes Grover’s RG Farm. The Wes Grover farm is part of the original Springer homestead. Photo: Albert Marquez/Planet Earth Adventures LLC. 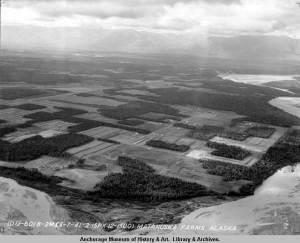 In October of 1914, an Alaskan pioneer of Swedish descent named John August Springer filed for homestead rights to 320 acres of benchland located on the north bank of a sweeping bend in the Matanuska River, with a commanding view of Pioneer Peak and the Knik River Valley to the south and east, and the Chugach Range behind what would become the location of Palmer to the northeast. 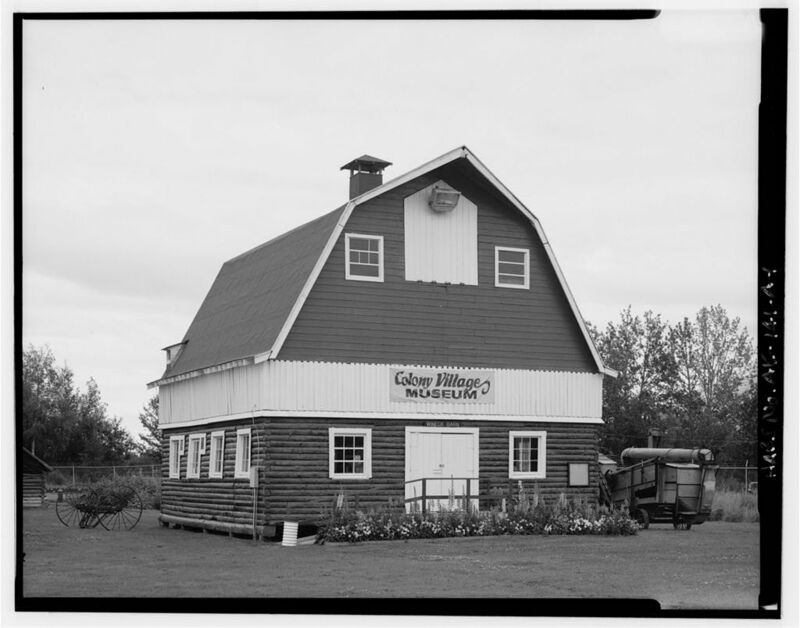 Palmer wouldn’t be there for another fifteen years, of course, but George Palmer’s trading station had been established sometime between 1894 and 1898, near where the present-day bridges cross the Matanuska River just east of town. Springer built a log cabin and a few other buildings, and cleared and proved up on his land, receiving the patent in 1920. 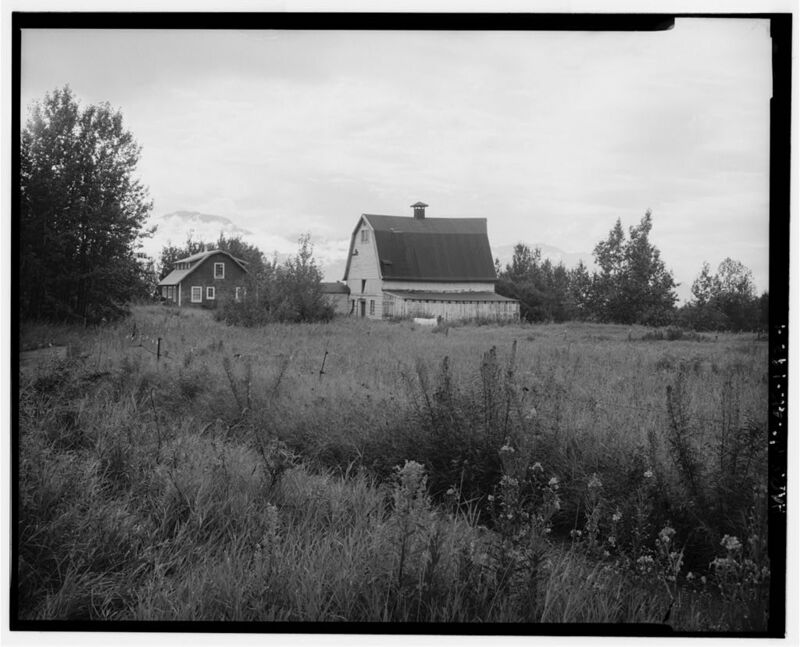 Fifteen years later, in 1935, he sold a portion of his homestead to the United States government for $7.50 an acre for the Matanuska Colony Project, which would bring 203 new families from the depression-era Midwest to build their own homes in the Valley. The Colonists who drew tracts in the area which had belonged to John Springer were very fortunate, for it was an excellent location with supreme topsoil. The Grover farm and Springer’s original homestead can be seen closest to the viewer. Springer System, June 7, 1941. Photo by U.S. Army Air Corps. One of the tracts of land previously belonging to John Springer was drawn by William Ising, who had joined the Colony Project from Saginaw, Minnesota with his wife, Marie, and their two children. William drew tract number 81, one of the few parcels which was 80 acres instead of the more usual 40-acre size. 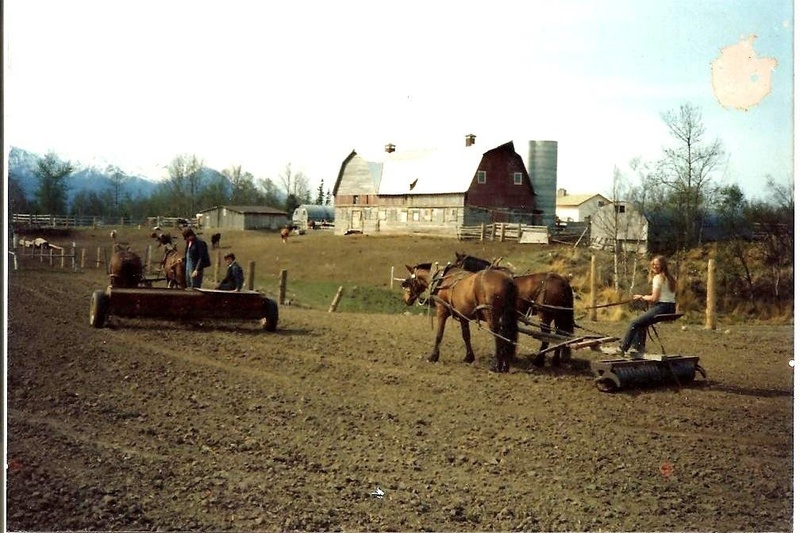 In 1948 the Isings sold their farm to Clifton and Vera Grover, who had recently arrived in Alaska from Utah. In 1968 their son Wes Grover and his wife, Bonnie, purchased the farm, which was by then a dairy operation. Two additional Colony barns were added to the property, the Joseph Dragseth barn from tract no. 84 was moved into place adjacent to the Ising barn, creating one large building; and the George Venne barn was moved onto the farm from tract number 82 and was set in a pasture just north of the other two barns. The picturesque RG Farm, located at the end of Grover Lane off the Outer Springer Loop, has been the location for many weddings, television commercials, and other events, and has been featured on the cover of the MTA phone directory. 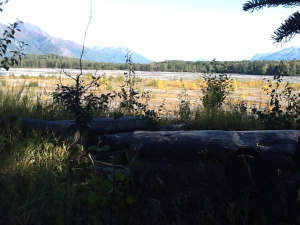 Only a few notched logs remain to mark the location of John Springer’s cabin overlooking the Matanuska River. 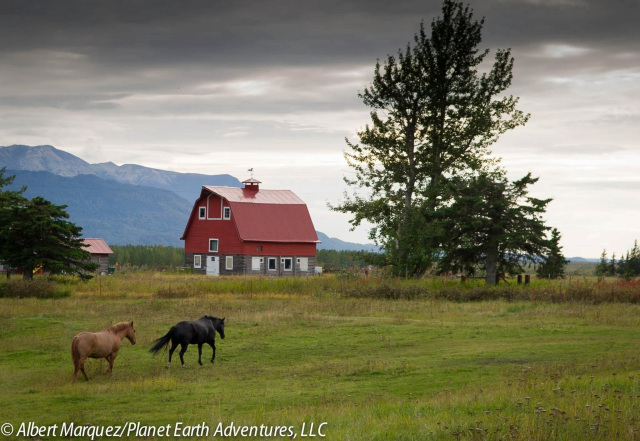 The area south of Palmer which became known as the Springer System, with its looping roads named Inner Springer and Outer Springer, is the site of some of the richest and levelest farmland in the Matanuska Valley. Of the more than 200 farms which became the Matanuska Colony Project, for which the federal government offered financing and support, over one-quarter of them were located in the Springer Loop area. 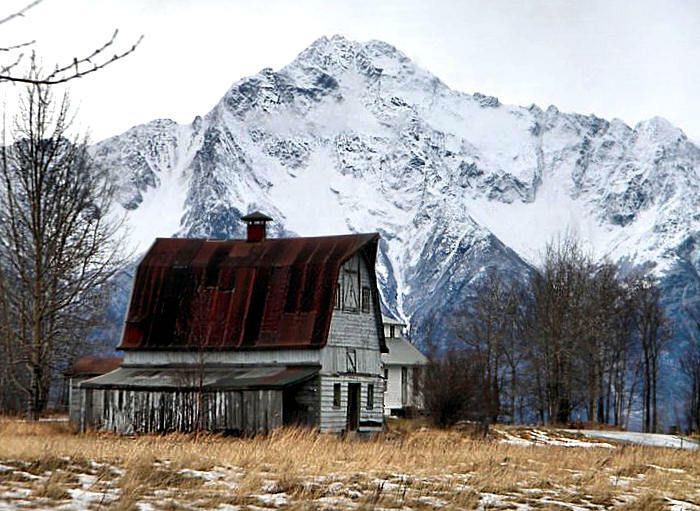 Today the Springer System is a network of picturesque farms which might pass for almost anywhere in the midwest if not for the towering peaks of the nearby Chugach Range. While an ever-increasing number of farms are being subdivided for tract housing, there are still enough hayfields, pastures, croplands and massive Colony barns to give the area a friendly rural feel. In fact, the Springer Loop Road area has the largest concentration of existing Colony barns, with most of them in their original locations. Detail of logs, John Springer cabin. In the southeast corner of the Outer Springer Loop Road, at the end of E. DePriest Avenue, a barely visible trail leaves the end of a cul-de-sac and strikes out toward the Matanuska River. 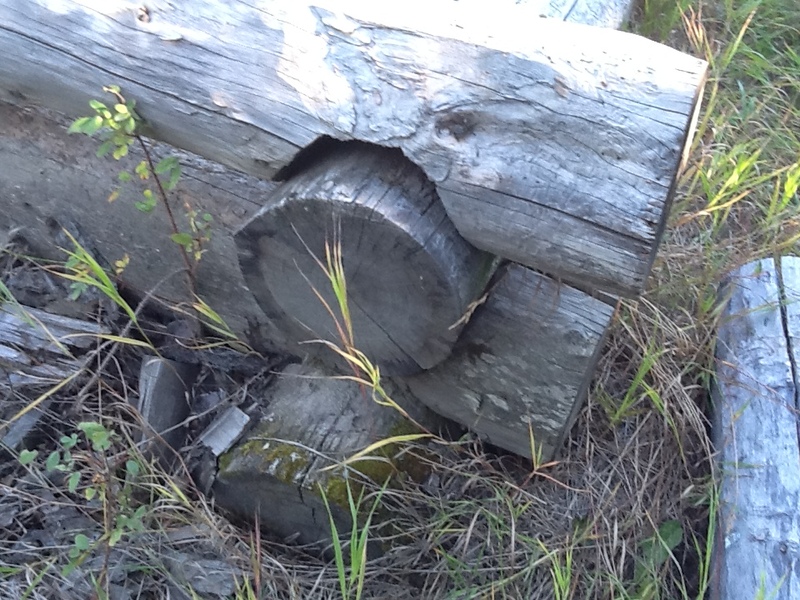 A weathered sign on a nearby tree marks the trail, and after a short walk through the woods, a few of the logs of John Springer’s cabin can still be seen on a bluff overlooking the Matanuska River. John A. Springer chose an outstanding place for his homestead, and today’s residents of the area can only wonder what forces aligned for him and how he came to chose the splendid riverside location.